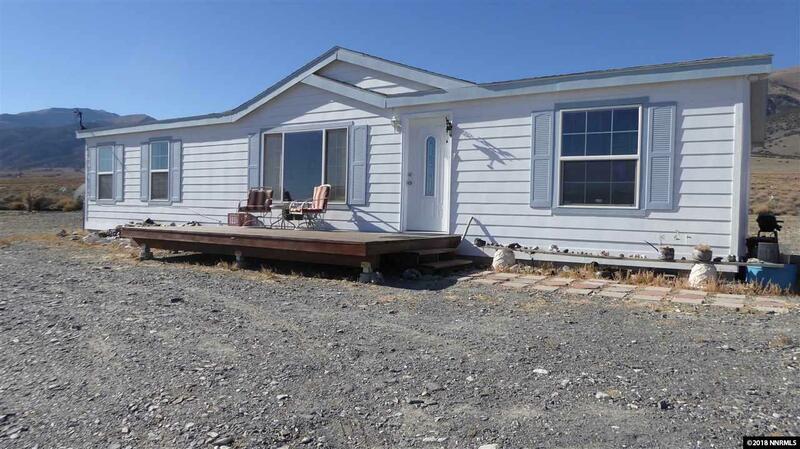 Well maintained 3 bedroom 2 bath 2004 manufactured mobile home non-converted to real property on 3.8 acres in Kingston at the base of the Toiyabe Mountains near the North end of Smokey Valley approximately 32 miles from the Austin on Highway 376 towards Round Mountain. The property is not in a flood zone. The home has fire resistant siding. Access gate to BLM. Chain link fencing. 10' x 8' redwood deck in front and 6' x 10' redwood deck in back.